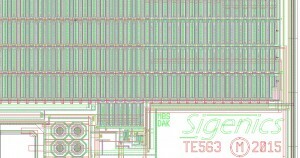 Sigenics has recently completed the chip design for their latest obsolete-part replacement project. Projects such as this one involve designing new chips to replace parts that have been rendered obsolete, allowing the customer to update their product without having to do a complete redesign. The new Sigenics chip is a wide supply range constant current source IC chip, which can tolerate supply voltages from -50V to +50V. 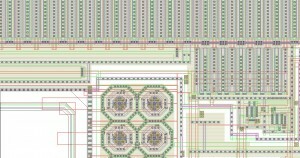 It will replace an ASIC fabricated in a vintage bipolar process. 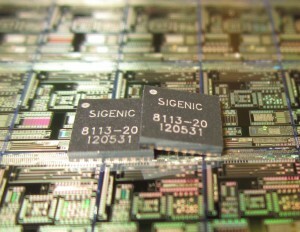 Sigenics is glad to announce that they will provide their customer a continued source of supply using a currently available High-Voltage CMOS process, which allows for faster fabrication and a lower production cost. The chip design was taped out on January 22nd for prototype fabrication and testing. After being tested, the chip will enter full production.